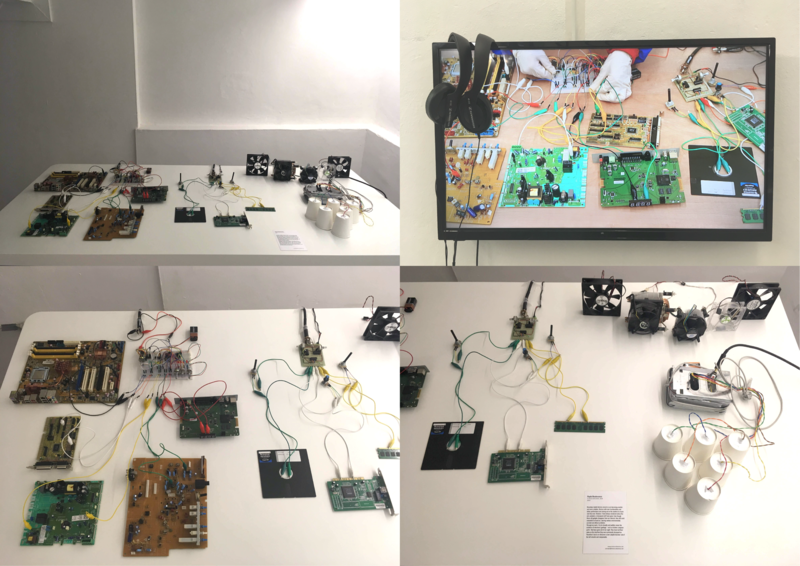 I had 2 group exhibitions with my work in progress ‘Playful Obsolescence’ on November 2018. 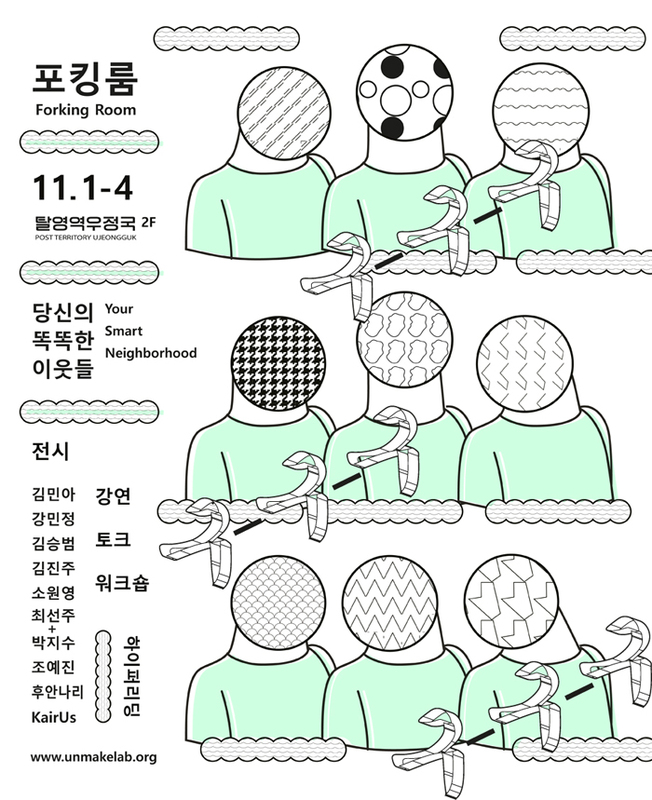 One took place at Ujeongguk in Seoul, Korea and another was at SIGN gallery in Groningen, Netherlands. The Exhibition Forking Room: Your Smart Neighborhood was held by Unmake Lab as a research project. The theme of forking room is associated with today’s society, technology and art. This year’s forking room consisted of exhibition, talk, lecture and workshop. I participated the exhibition as one of artists with the video documentation of my e-waste instrument. From 3th to 25th of November, I had another group exhibition at SIGN gallery in Groningen, Netherlands. The exhibition took place during the Sound of Music festival in Groningen so that the gallery invited 3 young artists who are working on sound related art. opening performance, SIGN gallery, 9th Nov.
As Fruit From the Forest, I had a performance at Tut Tot Tud festival, together with Lucija. 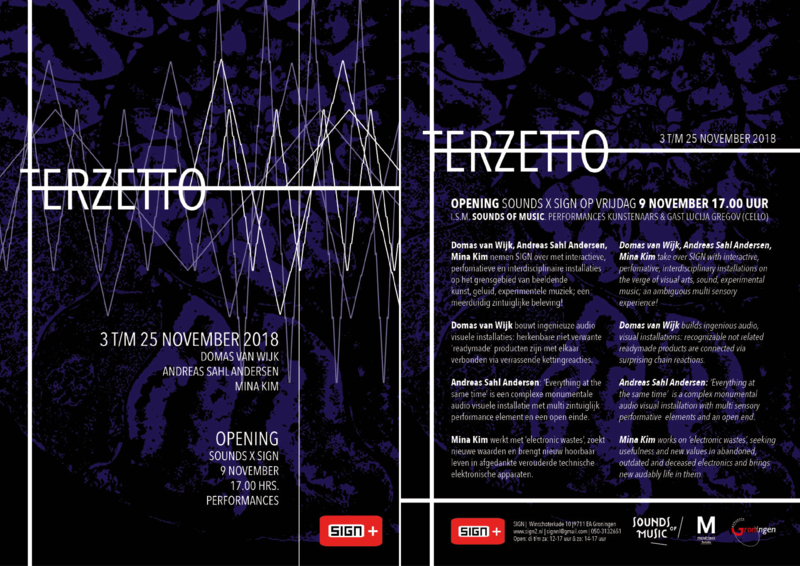 Like as we did at opening of exhibition Terzetto, I played my e-waste instruments with live video, and Lucija played her cello and some digital pieces made by herself. 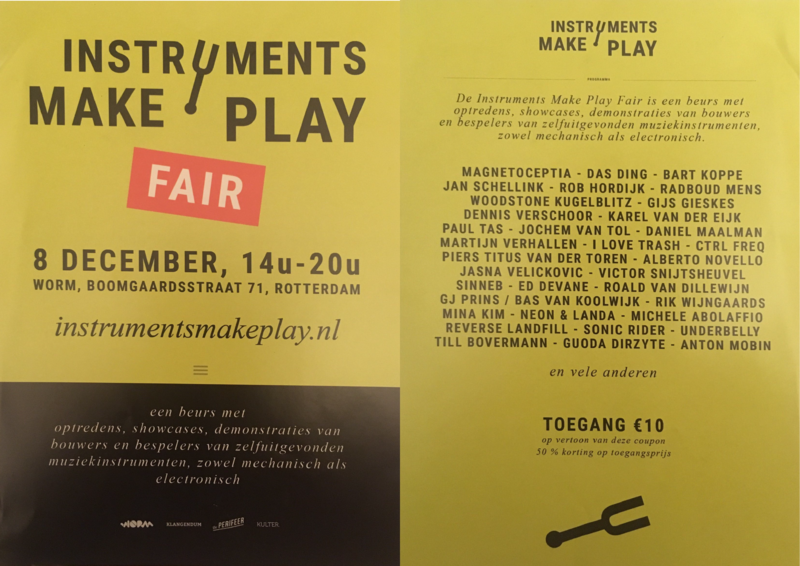 I participated Instruments Make Play Fair on 8th December. 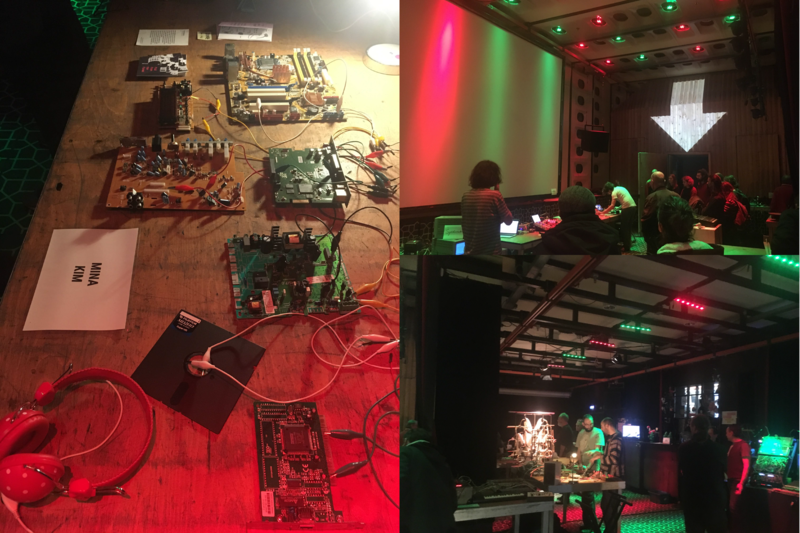 Last year’s instruments make fair festival, I joined a workshop(about making analog synthesizer by Nataliya Petkova at STEIM, Amsterdam), but this year I was there as an instrument builder! During the fair, I gave a short presentation and performance on my work. There were lots of interesting self-made instruments made by awesome artists and makers. And I had really good time in there, meeting and having conversation with visitors as well as other instrument builders.